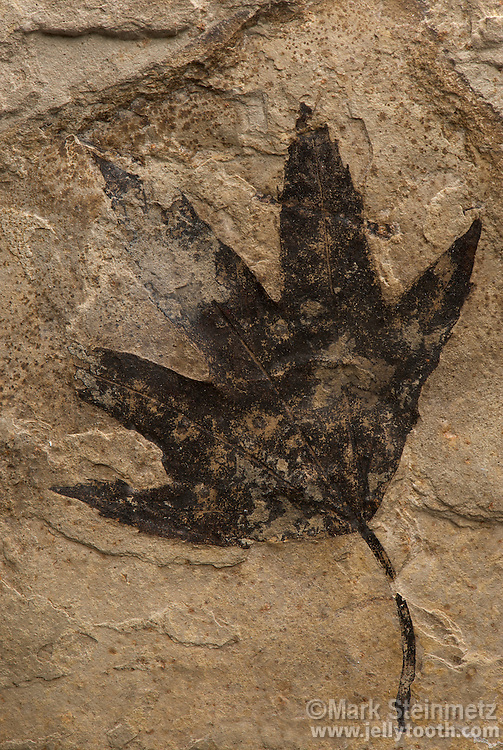 Fossil Sycamore Leaf. Platanus wyomingensis. Green River Formation. Eocene. Douglas Pass, Colorado, USA.